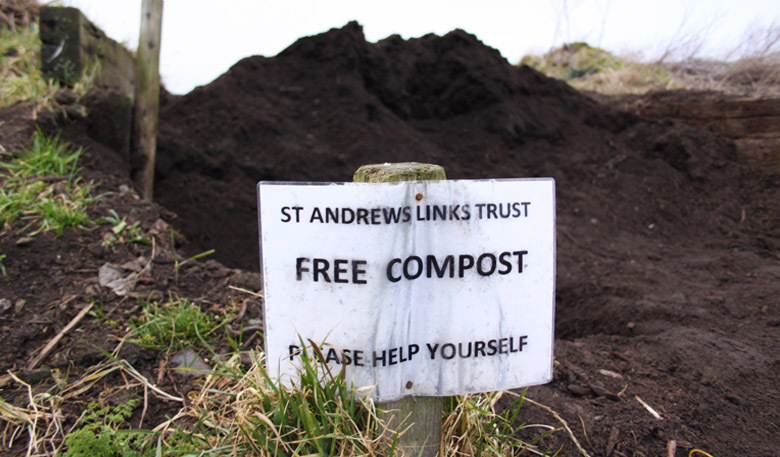 The compost is made from grass clippings and gorse chippings and takes approximately 6-9 months to turn into humus – which is the desired end product of composting. The composting programme is in full swing with the majority being given away to the local community. So anyone wishing to revive their garden borders with a little more nutrient then please help yourself – the compost can be found to the far end of West Sands Road near to the Eden Estuary. 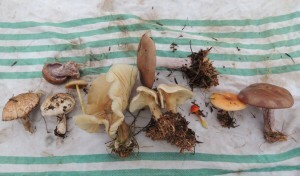 The compost is made from grass clippings and gorse chippings and takes approximately 6-9 months to turn into humus – which is the desired end product of composting. 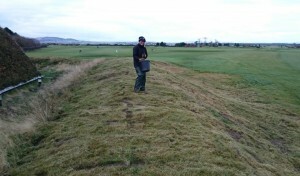 Areas including the 6th hole of the New Course have been cleared of gorse (to allow further heather plants to spread out) which was then put through the chipper and moved to BBQ Hill where it’s mixed with grass clippings and turned over occasionally thus allowing oxygen in to speed up the process. We occasionally collect driftwood from the beach and place it in the same area for anyone who has a log fire. 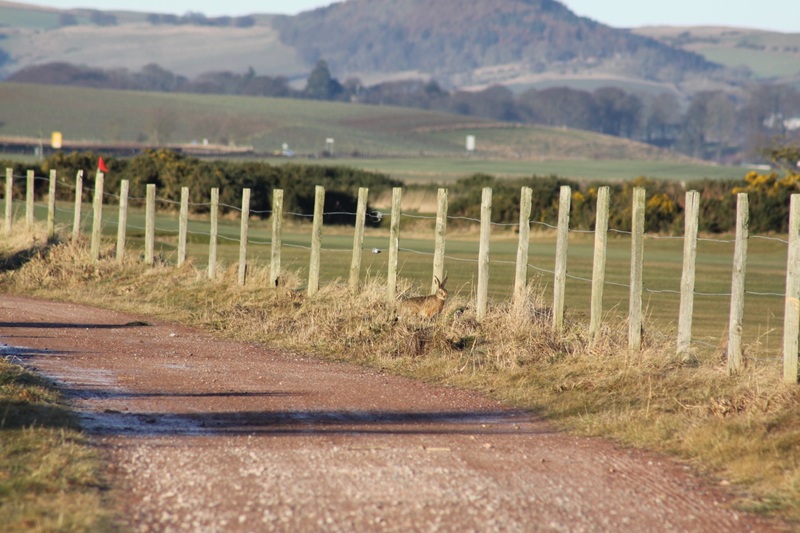 The warm and sunny past few days have resulted in some odd behaviour from our animal friends here on the Links – the skylarks were singing away over the Jubilee Course which is much earlier than expected. Their behaviour suggests warmer weather is in the offing and if this is the case then the hare’s will start to ‘box’ each other as mating season approaches which is always a sight worth waking up early for! 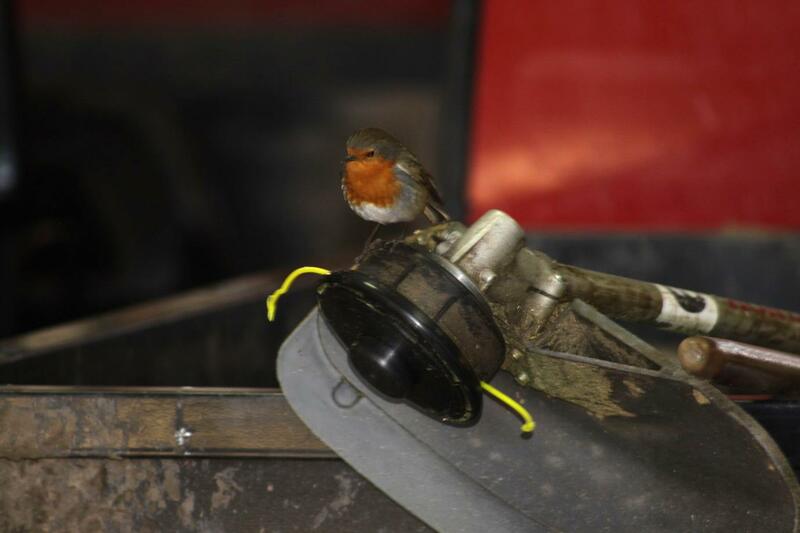 We have a resident robin in the Jubilee maintenance facility. 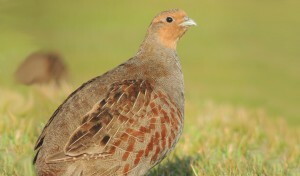 This chap has been seen every day over the winter period and is quite at home foraging for grubs in the offcuts of turf and sand which the greenkeeping team bring in on their vehicles. I have to say that he’s a welcome sight on cold and frosty mornings. There’s not been too much in the way of other wildlife sightings on the Links this past fortnight but the ospreys will be hitting the UK over the next 3-4 weeks so keep a look out for these ultra-rare beauties over the Eden Course! Both The Castle and Strathtyrum Courses performed fantastically well in the Sports Turf Research Institutes (STRI) Environmental yearly awards recently with both making it into the last four in their respective sections. The Castle Course was nominated for its stunningly diverse wetland habitat whilst the Strathtyrum was nominated for its Operation Pollinator wildflower area – a massive well done to the teams for making to the finals!